A few years ago we went to Walker Stalker Con in London. Walker Stalker Con is a convention for fans of the TV show "The Walking Dead" (and its spin off "Fear The Walking Dead). 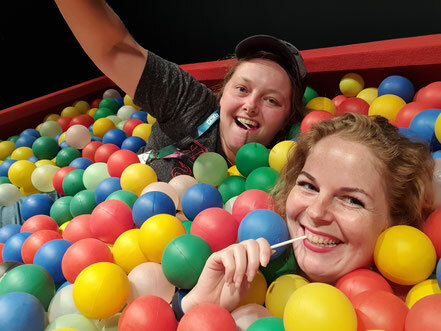 We had a great time at the convention, but we were only attending one day. It was impossible to see and do everything. The convention had an amazing guestlist (if you are a fan of the show), with names like: Andrew Lincoln (Rick), Norman Reedus (Daryl), Melissa McBride (Carol), Josh McDermitt (Eugene), Michael Cudlitz (Abraham), Chandler Riggs (Carl), Christian Serratos (Rosita), Alanna Masterson (Tara), Ross Marquand (Aaron), Sonequa Martin- Green (Sasha), John Bernthal (Shane), Sarah Wayne Callies (Lori), David Morrissey (The Governor) and Chad L. Coleman (Tyreese). Because of this amazing line-up, the bunch of people and the limited time, there was only so much we could do. 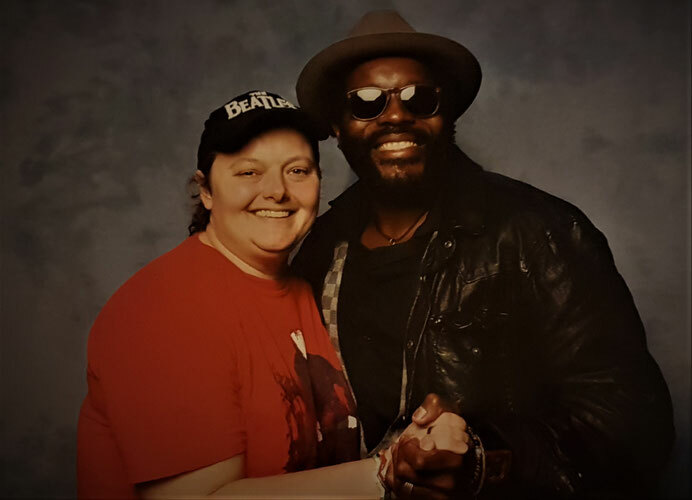 Chad L. Coleman plays the role of Tyreese in "The Walking Dead" and he is one of my favorite characters, but we missed him in London (I did get a picture). 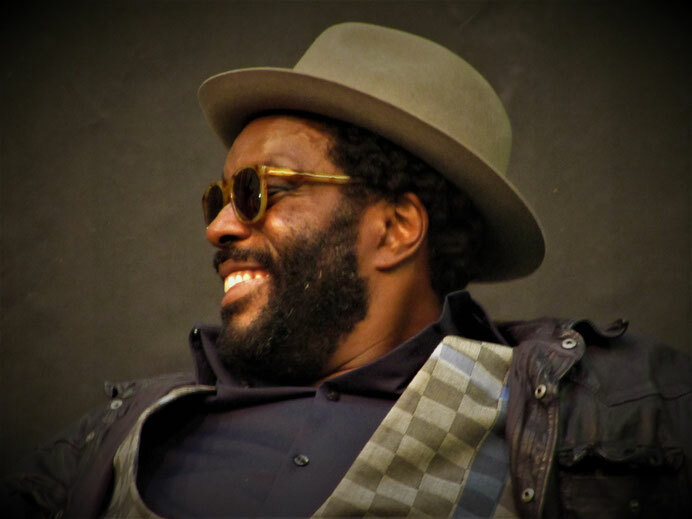 He also plays in "The Wire" and later on Chad also got a role in "Arrow" (as Tobias Church), which made me regret even more that I did not get to meet him in London. Luckily last year Weekend of Hell Dortmund announced him for the November Edition. I was so happy to get another chance to meet him. 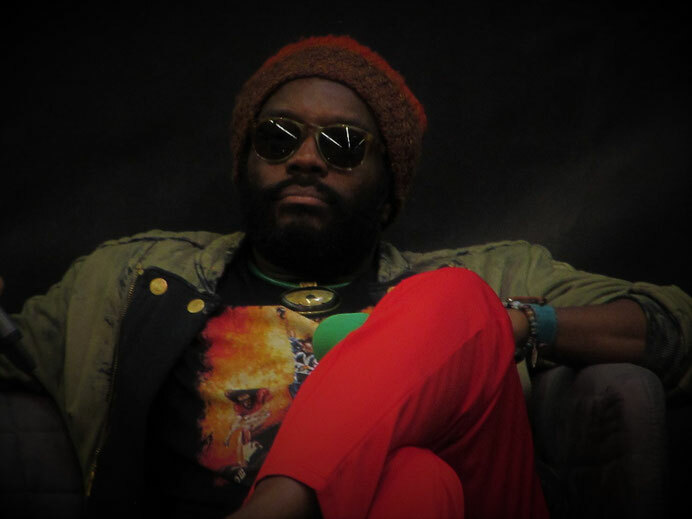 Chad L. Coleman was born September 6, 1974 in Richmond Virginia. When he was only 11 months old, Chad was placed under foster care, together with his two older brothers and his two older sisters. When he was 14-years-old Chad decided he wanted to live with his grandmother. In his youth he participated in Track&Field, until a leg injury forced him to stop. Because of this, Chad turned his attention to studying drama. He joined a school program and participated in the production of "Wonderful Town". This ignited his passion for acting. Chad spent his freshman year at Virginia Commonwealth University on a scholarship, before dropping out to serve time in the U.S. Army from 1995 to 1999. He was sationed in The Pentagon and served as a video camera man. During the nineties, Chad starred in some TV shows, like: "Here and Now", "Law&Order", "Soul Man" and "New York Undercover". Coleman made his way to New York, where he starred in a number of Broadway projects. One of these projects was the critically acclaimed "Joe Turner's Come and Gone", alongside Meryl Streep. In 2004, Chad got his big break when he landed the role of Dennis "Cutty" Wise in HBO's "The Wire" (regarded as one of the best TV shows ever made). He delivered a fantastic performance, playing this reformed street hitter from season 3 to season 5 of the show. He played some guest roles in other TV shows, like: "Numb3rs", "CSI: Miami", "It's Always Sunny in Philadelphia", "I Hate my Teenage Daughter" "Terminator: The Sarah Connor Chronicles" and many more. Besides this he did some voice work for video games like: "Left 4 Dead 2" and the "Grand Theft Auto" franchise. In 2009, Chad played in a revival of the Broadway show "Joe Turner's Come and Gone" and he had a starring role in the Norwegian TV show "Buzz Aldrin, What Happened To You In All The Confusion?". 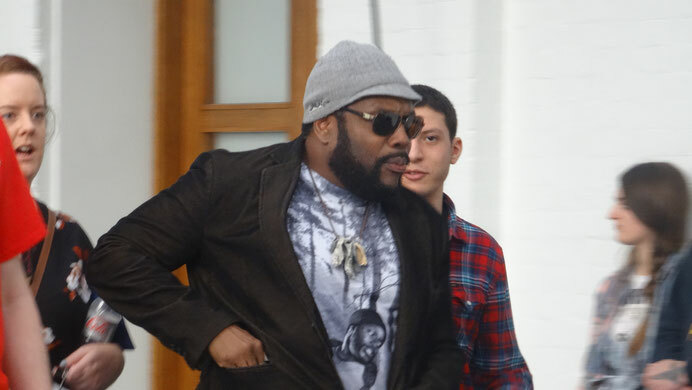 Late 2012, Chad landed his next really big role as Tyreese Williams in the critically appraised "The Walking Dead" (he played this role from 2012-2015). Tyreese is one of my favorite TWD-characters and I loved seeing Chad in this role. In 2016, Chad played the antagonist in season 5 of the CW's "Arrow", followed by roles in Amazon's "The Expanse" and in "The Orville". In February 2019, Chad will produce and co-star in his very own short film: "Wish Lab, Inc.". "The man is a legend, but when you act with him he makes you feel like you are the legend..."
He said that when he first met Scott Wilson, he thought he was looking at a fashion statement, because when Chad came on set the first time Wilson was wearing a green stocking (or in Chad's words: "The dude was rocking a lime-green stocking..."). He thought it was an interesting costume choice. Of course Scott was wearing this stocking for the CGI department (because of the one leg). About his death scene, he said he couldn't have asked for a better one. He says it was bulls eye and he doesn't think the writers could have done better for Tyreese. He thinks Scott Gimple wrote an amazing episode. What he loves most about it is that if you just watch that one episode, you get who Tyreese was. He also talked about the episode in the grove with Brighton Sharbino. This was the episode where Carol shot Lizzie, because she was a danger to herself and especially to others (she killed her sister, to see her come back to 'life' as a Walker and prove that Walkers can be lovable). Chad praised Brighton for her performance in that episode. He said the 'Look at the flowers' scene broke his heart. He was on set that day and says all of them were cringing inside, but Brighton was spot on. When asked about playing Tobias Church (in "Arrow"), Chad said that he loved playing the bad guy. 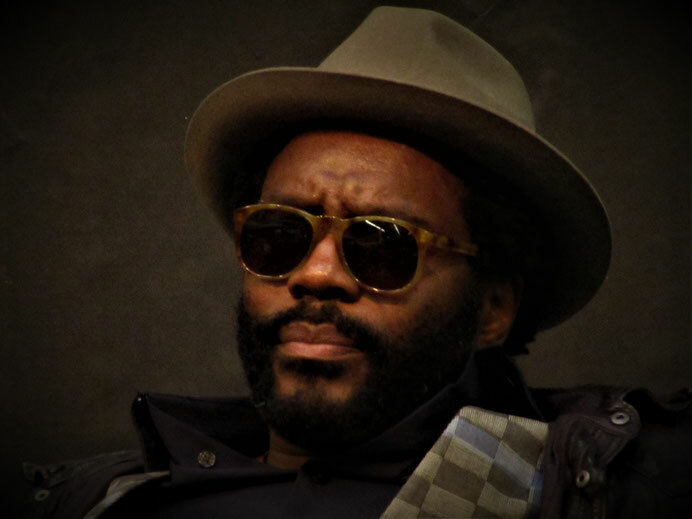 It was great to go from Tyreese (the ultimate good guy) , to Tobias Church (the ultimate bad guy). He says he would have loved to play Tobias for a few more episodes, but "I came, I saw and I didn't conquer...You can't conquer the Arrow baby!" Chad also talked about his roles in "The Expanse" and "The Orville". 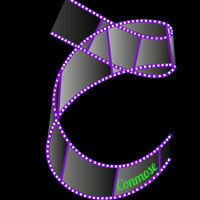 Furthermore he mentioned he is finally producing and co-starring in his own short film, with his ex Noemi Buttinger. The project is called "Wishlab Inc" and at the time of Weekend of Hell (November 2018) they were planning to shoot the movie in Vienna in December. The latest update, however, is that Chad got a chance to play a role in a series that was being shot in December. Because of this the shooting is pushed forward to February. Of course, they also talked about Andrew Lincoln (Rick Grimes) leaving the show. Chad: "That man was a leader. I do not think "The Walking Dead" would have continued, if that man hadn't committed every single part of him. He never took a scene off, he showed up first and left last, more than everybody else...And that man never wavered. So, if it's time to come back across this pond and be with his family...so be it." Since I had missed my chance in London, back in 2016, I had already bought my photo op for Chad beforehand. So on Saturday it was time to meet the man behind the amazing characters in two of the best TV shows ever made. When I entered the photo booth, I noticed that Chad was very much taking charge of the shoot. He was very nice and VERY energetic. When it was my turn, he grabbed my hand (which is very small) and before I realized it, we were in a sort of dance pose ha ha (just like Carola and Sean Astin at Amsterdam Comin Con a few years ago). The photo turned out very nice and I am very happy with it, but I also burst out in laughter every time I see it. This is mostly because you see the surprise in my eyes and because my tiny hand looks like it is being crushed in Chad's hand.